Lifestraw Community Water Filter is Here! 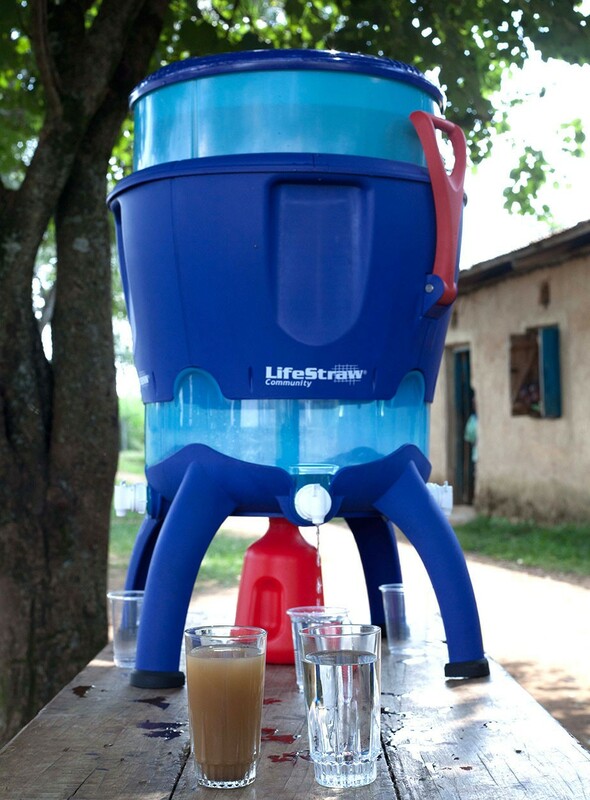 You are at:Home»What's New»Lifestraw Community Water Filter Now Available! 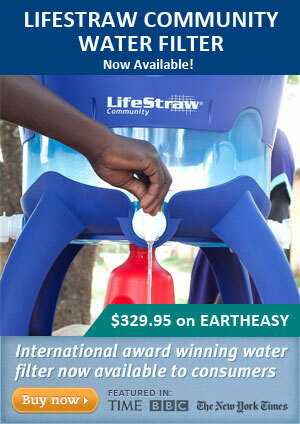 The Lifestraw Community Water Filter is now available via Eartheasy.com (the official supplier of Lifestraw products). The Lifestraw Community is designed mainly for third world use, but it is also popular for emergencies, preparedness, disasters, remote camps, or any situation where large numbers of people need clean, safe drinking water where none can be found – or is questionable. If you have been wanting to purchase one of these units, Eartheasy is the only place I would buy one (besides that, there are very few other places you can find them). 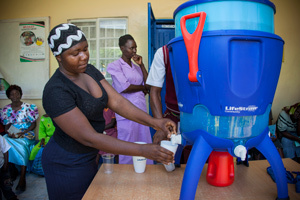 So… you might be asking what is the Lifestraw Community? Check out the videos below – I’ve include a few including it’s use in Kenya, as well as the basic overview and operation video. I won’t be doing a review on this water filter as it is well beyond my needs and realistically would not be a thorough review since I could never put it through its paces on my own. However, it is made by the same company as the Lifestraw Personal Water Filter and Lifestraw Family Water Filter so you can rest assured it does what is claims and is built to last. The only reason I am adding this post is “Availability” (and I think this is a much needed product that lots of people have been waiting to buy) – The Lifestraw Community Water Filter has not been available until just recently and some of the pricing I have seen outside of the Eartheasy website is way up there. I have seen it in the $500 plus range and that is almost double what you can buy it for on Eartheasy. On Eartheasy you can purchase it for only $329.00 which includes free shipping! 25 Days on just WATER since I started drinking filtered water I quit soda. I feel MUCH BETTER. So easy to use and set up was a snap. Our local water tasted strange but now- no taste. I love it. A Valuable piece of equipment. I liked the way it was neatly packaged. I was keeping it for an emergency, but may have the need to try it out this weekend. We have a tropical storm Ana, which is predicted to turn into a hurricane in a day or so heading for the Hawaiian Islands. Wishing for the best, prepared for the worst. Update: You can also find alternate sellers for the Lifestraw Community Water Filter here on Amazon However, they appear to be much more expensive than Eartheasy! I have been waiting…. And waiting…. and waiting, for a large scale water filtration system to come out that was easy to use, produced large volumes of clean water, and didn’t require either a science or engineering degree to assemble or operate. Finding the Lifestraw Community was a gift! The clean water aspect of my prep plan has been the one glaring hole in the program for years. My instincts kept telling me to hold off investing, as some new product WOULD eventually find it’s way to the prepping community. Well, it’s here now folks! 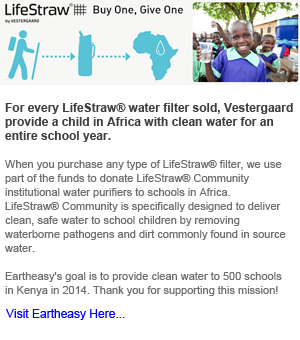 This Lifestraw community is a beast! You see…. My concern was not simply for my family, but for neighbors that are completely unaware of the necessity of prepping. If a major emergency transpires and we lose the taps, either short term OR long term, these units will deliver. In the event of a long term emergency, access to clean water will KEEP PEOPLE IN PLACE, and keep them from migrating out in search of water. This becomes a very significant factor in a possible protracted situation if social cohesion and the rule of law has disintegrated. Folks cannot DEFEND a community if they’re no longer HERE…. I hope the above scenario never happens. But I sleep a LOT better knowing we are prepared to mitigate that scenario….